Mild salsa, chili powder and ground cumin are all the seasonings you'll need to make these easy, 15-minute BOCA Tacos. Cook all ingredients except tortillas in nonstick skillet on medium heat 8 to 10 min. or until crumbles are cooked through (160ºF), stirring occasionally. 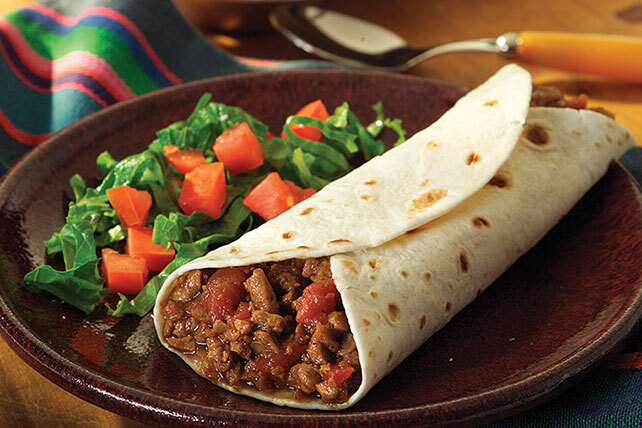 Serve with your favorite taco toppings, such as shredded lettuce, chopped tomatoes and chopped onions. Substitute TACO BELL® Taco Shells for the flour tortillas. Omit tortillas. Cook crumbles mixture as directed. Use as a topping for taco salads or nachos.